Your guide to a successful career in architecture. Disclaimer: There are affiliate links in this post. This means that at no cost to you, I will receive a small commission if you purchase through my link. I will only ever promote the products and services that I trust and 100% recommend. You may read my full disclosure policy for more information. Thanks for supporting my business in this way. 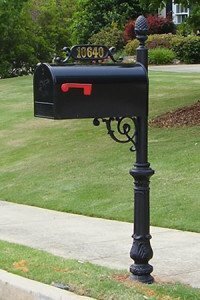 For this post, I have put together a collection of the best mailboxes for sale. 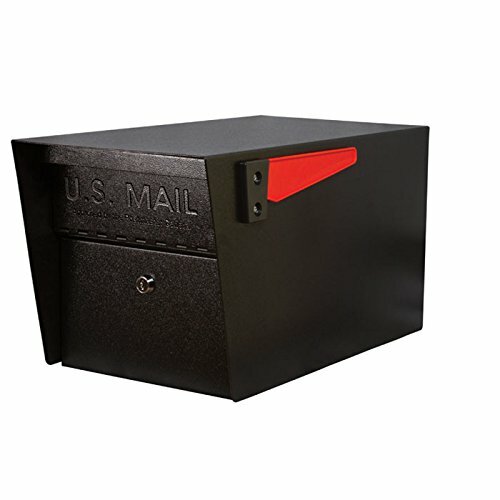 Locking mailboxes help to reduce the risk of ID theft, since criminals steal mail to access personal information. 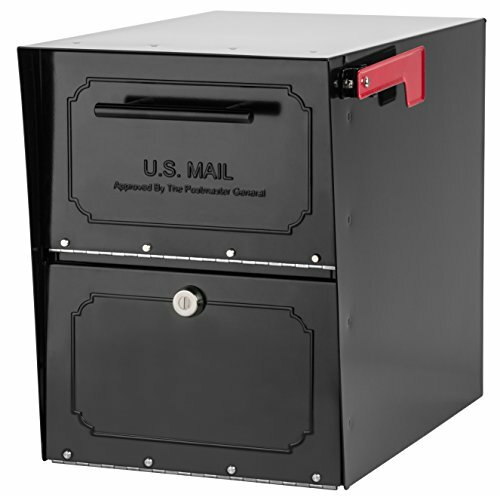 If you have a residential curbside mailbox, you can replace it with a USPS Approved locking mailbox according to USPS specifications. 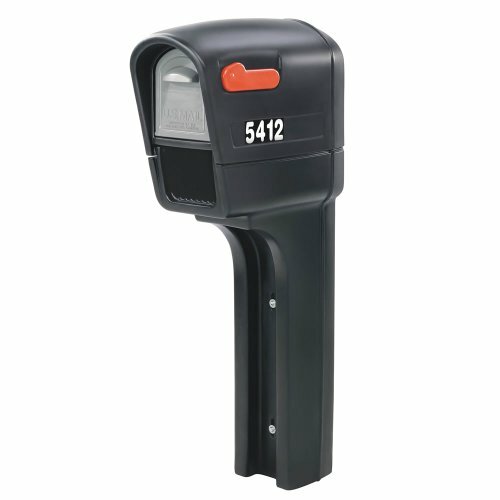 Mail is delivered via an incoming mail slot or bin, and retrieved with a key via a locking access door. 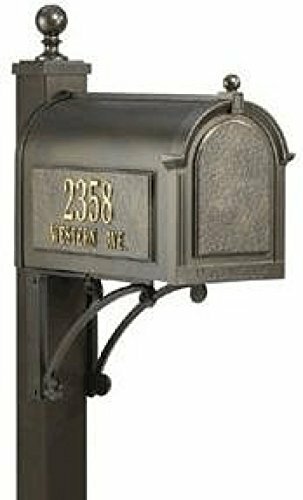 The following mailboxes use quality, long-lasting materials so your investment will stand up to the outdoor elements for years to come. 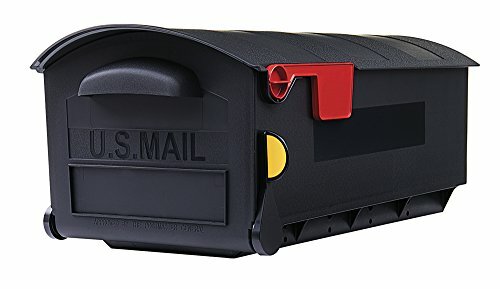 So here is my list of The 10 Best Mailboxes For Sale. Manufactured by a family owned business in Atlanta, Georgia. Black, powder coated surfaces are constructed from rust proof aluminum. Address plaque shown can accommodate up to five two inch brass Williamsburg numbers which are included in the purchase. The manufacturer/seller will contact you after your purchase to confirm the correct house numbers for your order. Designed for easy assembly in 15-20 minutes. Includes a patented anti-pry latch locking mechanism to prevent leveraged entry and a high-security 12-disc wafer lock with 3 laser cut keys. Innovative design accepts mail bundles and small packages up to 3.5" x 3.5" x 10". Patented anti-pry latch locking system features a chrome-alloy tempered stool hook cam. Includes four lag bolts, drill bit, installation template and clear instructions for easy mounting onto existing wood or metal post or structure. Made of heavy-gauge galvanized steel. Extra-Large capacity fits multiple packages, boxes, and padded envelopes. Ribbed body adds strength and durability. Door latch can be adjusted for tighter or looser grip. Heavy-Duty galvanized steel construction provides strength and stability. Black powder-coated finish is rust-resistant to withstand the elements. Patented design allows delivery of mail bundles and small parcels. Body constructed of heavy 16 and 18 gauge galvanized steel fully powder coated prior to assembly for durability and long life. Doors include rubber seals to keep deliveries clean and dry. All hardware made from stainless steel and other corrosion resistant materials. Suitable for installation into a pilaster or column. Entire outer shroud is one piece to resist moisture and the elements. Includes personalized side plaques and post. The top line of the side plaque holds up to five 3" numbers. Bottom line holds up to sixteen 1.25" characters. A simple way to display your address, including street name, while enhancing the curb appeal of your home. 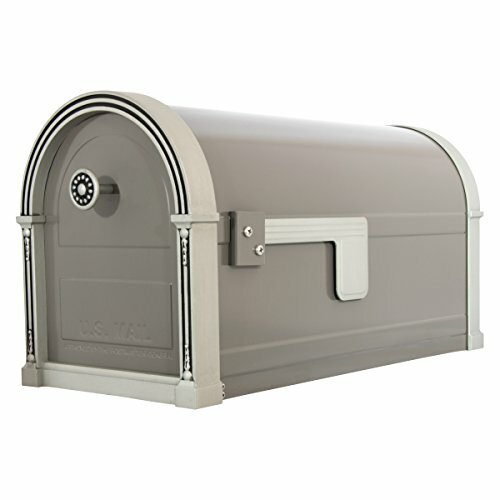 The Capitol Mailbox is 20% larger than a standard mailbox. The Gibraltar Olde Towne combo takes the guess work out of matching mailbox to post. Cast aluminum construction offers strength and the rich details capture a striking yet traditional fashion. Black powder-coated finish offers resistance to outdoor elements, ensuring long lasting style. Provides generous capacity to store small boxes, magazines and other parcel deliveries. Will leave a lasting impression in your neighborhood. Engineered with heavy-duty galvanized steel for utmost durability and protection. Large capacity is capable of receiving small to medium size parcels, padded envelopes, and magazines along with daily mail. Powder-coated finish resists rust to further longevity. Magnetic closure keeps door secured when not in use. Features brushed-nickel accents for a glamorous finish. Comes fully assembled for convenient installation. Installs easily onto a variety of Gibraltar posts including the BP000B01. Unique all-in-one construction, durable weather- and vandal-resistant heavy-duty plastic construction. Front and rear magnetic doors, carrier pickup flag, and spacious interiors. Includes built-in newspaper delivery compartment, allowing more room for mail in the box while keeping your newspaper dry and protected. 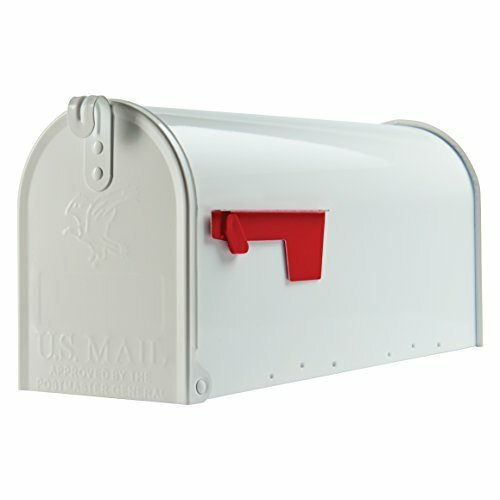 A flap on the back of the mailbox keeps the paper from falling through, but you can easily lift the flap to remove your paper from the back. To mount it, you'll need to purchase a 4-by-4-inch post, but the required hardware is included. Self-adhesive white numbers on a black background included to post your address on the box. Available in black, walnut, spruce, and stone gray. Constructed from sturdy, rust-proof plastic material. Weather and impact resistant for longevity against weather elements and day-to-day use. Large size can receive multiple deliveries including padded envelopes and small boxes. Includes blank spaces on the door and side to add customized letters or numbers. Includes a standard outgoing mail flag for the Postmaster and also a received mail indicator flag to alert you that mail has been delivered. Medium capacity fits small boxes, magazines, and padded envelopes. Rust-resistant galvanized steel construction provides strength and stability. White powder-coated finish is rust-resistant to withstand the elements. Galvanized steel features a coating of zinc - adding a layer of protection against rust. Approximate mail opening size is 7.2" by 5.8". Mailbox comes fully assembled and ready to install. 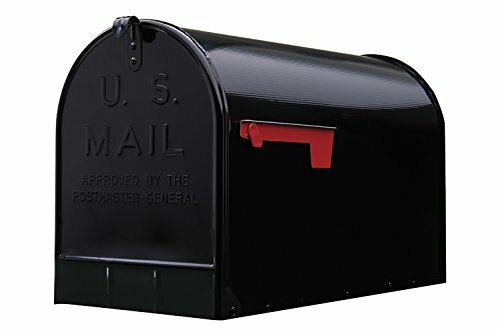 I hope this list of the best mailboxes for sale was helpful. If you think I left out one that is important or have a suggestion for a future article, let me know in the comments below. 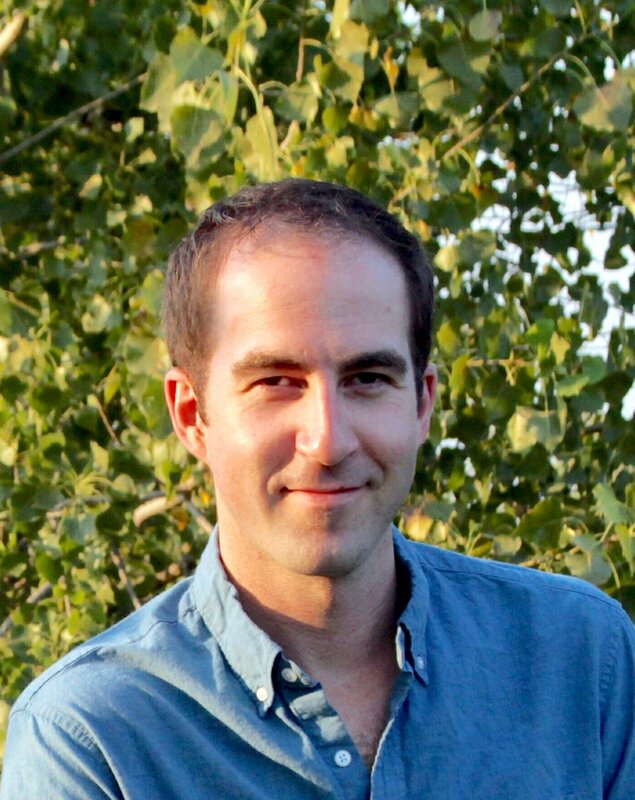 I am a licensed architect who is passionate about all things design and construction. Ever since I was old enough to lift a hammer, I was making a mess and nailing everything together in the garage. Now I share my advice and experience in the architecture and home improvement industries. I recommend products and services to help you accomplish your goals and simply get the job done. You can read more about me here and contact me here.